If you love to wrap gifts like I do, you probably love to add all kinds of extras beyond the gift wrap, right? Well a bow is a must then! So today I'll show you how to make your own quick and easy DIY tissue paper bow. You can make them just about any size you need AND, you can get tissue paper pretty cheap, so these bows are really inexpensive to make and only take a few minutes. Let's have some fun with today's holiday craft! These tissue paper bows are so quick and easy to make. You can make a whole bunch of them in no time! it might be tricky at first. Be gentle with the paper and move slowly until you get the hang of how the paper works or you could rip the paper. The beauty of these bows is that they are meant to look crumpled. So, if you have to ship off your gifts or carry them around anywhere, the bows won't look ruined when the gifts arrive in the mail. Make this tissue paper bow in no time! You can use my printable Christmas tags with your gift wrapping too. Open a piece of tissue paper and then scrunch it into a long thin bunch/strip. Wrap the two sides of the paper toward the middle of the strip, overlapping the edges slightly. This should create kind of a loop of paper. Wrap a piece of tape around the center of the loop you've created. This will secure both edges to the center and create the middle of your bow. Fluff open the outter loops of paper you just created until you like the look of your bow. Wrap twine or tissue paper around the center of the bow to finish the look. Tie twine in place or tape tissue in place. You can embellish your bows however you like. Add a button in the center, sprinkle with glitter, or use as is. Follow these step-by-step photos to help you learn to create bows out of tissue paper. I like to use large, standard sheets of tissue paper, but you could also use rolls of paper. This technique also works ok with the softer/more pliable gift wrapping papers too. DIY Tissue Paper Bows are quick to make! To change up the size of the bow, just adjust the length of the first strip you use. You don't have to cut the tissue to make a thinner strip (you can if you want). Have fun making these quick and easy tissue paper bows! You can layer them, make big bows or make little bows. Need some gift tags? You can use the same tags I have in this tutorial. Grab yourself a copy of these free printable gift tags here. This project is part of this year's Craft Lightning Holiday Edition. Check out all the other fun Quick Holiday Crafts you can create! Jen, a very quick and easy idea. I love the mailing idea and not worrying about wrinkles. 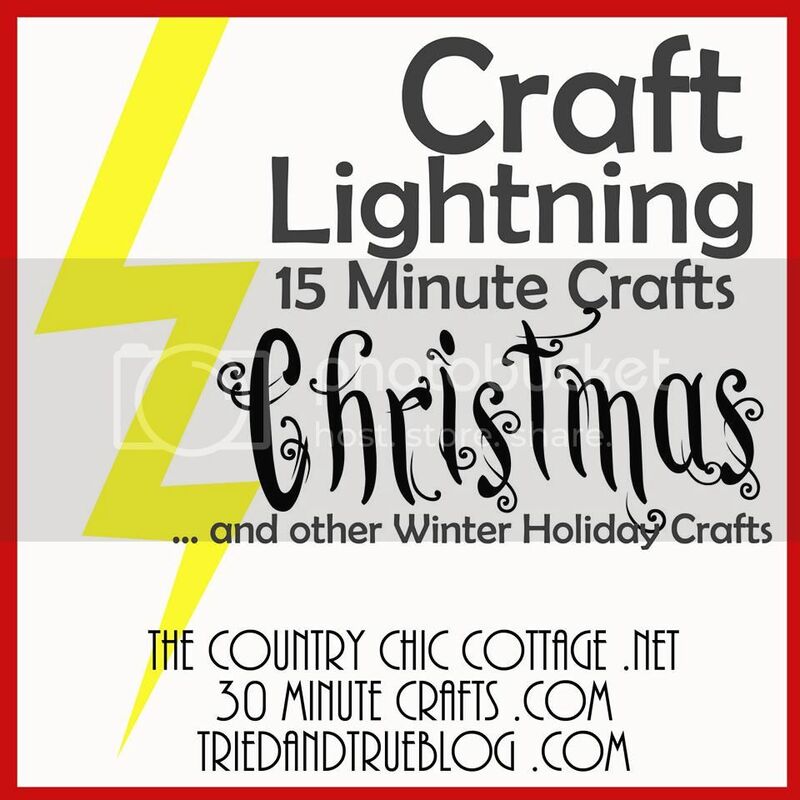 Visiting from Craft Lightning Tuesday posts.